Azerbaijan has recently been associated with secularism and religious tolerance at a growing number of international events. Ethnic minorities, large and small, some with distinctive religious communities, live in Azerbaijan. They include Russians, Georgians, Jews, Lezgis, Avars, Udis and Kurds. 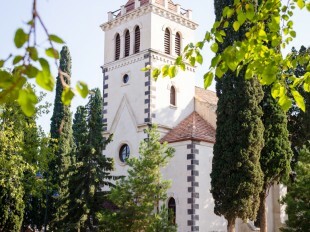 The groups profess Christianity – Orthodox, Catholic and Protestant – Judaism and Islam and live in an atmosphere of mutual respect and tolerance, hence Azerbaijan’s growing reputation. The European Azerbaijan Society (TEAS), in association with the Institut de Découverte et d’Étude du Monde Musulman (IDEMM), recently held a conference in the French city of Bordeaux entitled ‘Islam and Secularism: the Azerbaijani Experience and its Reflection in France’. 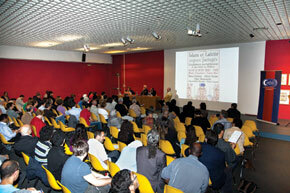 The symposium, chaired by Tareq Oubrou, head of the Bordeaux Mosque and director of IDEMM, attracted a large audience. Some 150 academics, members of religious communities, opinion-makers and civil society representatives attended the symposium to discuss the concept of secularism and the future of cohabitation among different religious communities, in France and elsewhere. The speakers reflected on the concept of secularism, including the role the state should take in religious matters, exploring the notion and experience of secularism in Azerbaijan, and outlining the differences and similarities between the Azerbaijani and French experiences. Nijat Mammadli from the Azerbaijani State Committee for Work with Religious Organizations presented the country’s model of secularism and religious diversity. He touched upon the role of the state in promoting religious tolerance in the country, saying: We want to share Azerbaijan’s experience and see whether our model of secularism and religious tolerance can also be an inspiration for others. Mosques, churches, synagogues and other religious bodies are protected by our state. Azerbaijani ambassador Elchin Amirbayov noted the importance of exchanging experience and building and strengthening dialogue among various cultures and faiths. Hervé Rehbi, head of Yavné, a Jewish cultural centre, then discussed the tradition of secularism in Bordeaux, a French city noted for its interreligious dialogue. He said that Azerbaijan could play a huge role in bringing worldwide tolerance. Tareq Oubrou, who travelled to Azerbaijan with TEAS in April 2013 on a trip to study secularism and religious tolerance in the Muslim world and also participated in the Intercultural Dialogue Forum in Baku in May, shared his experience and appreciation of the Azerbaijani model of secularism. He explained that the peaceful experience of interreligious dialogue and secularism in Azerbaijan should be viewed within today’s context of globalization. He said it was important that secular states like France and Azerbaijan share their experiences and address common challenges. Charafeddine Mouslim, secretary-general of the Muslim Federation of Gironde, said that Azerbaijan as a unique state with secular traditions could serve as an example to other countries. Nowadays there is a great need for religious tolerance around the world. 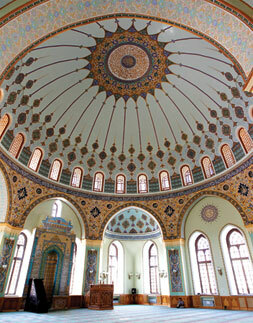 In Azerbaijan Muslims, Christians and Jews live together in an atmosphere of mutual respect, harmony and unity. I came across that in different regions of Azerbaijan, not only in the capital but also in the cities of Quba and Ganja. We should learn from this experience in France as well. After the event Tareq Oubrou, the head of the Bordeaux Mosque and director of IDEMM, shared his views with journalists about the Azerbaijani experience. This country has just emerged from communism. It is a Muslim country with a Shia majority and an important Sunni minority. There is also an old Jewish community that has been living there for nearly a thousand years, and if you go there you will also see Orthodox and Catholic churches. In this secular republic that has common borders with Iran and many crises in the North Caucasus, there is a strong will to stand up for a specific model of secularism and religious coexistence. They separate political and religious matters. According to the Constitution, religion and the state are strictly separated. Freedom of religious faith is a right acknowledged by the Constitution itself, which forbids all kinds of proselytism and religious preaching that might encroach on personal dignity and be in contradiction with the principles of humanity. Secularism also applies to the national education system. Relations between the state and religions are governed by the Azerbaijani State Committee for Work with Religious Organizations, which is headed by a ‘manager’ in charge of faith groups. 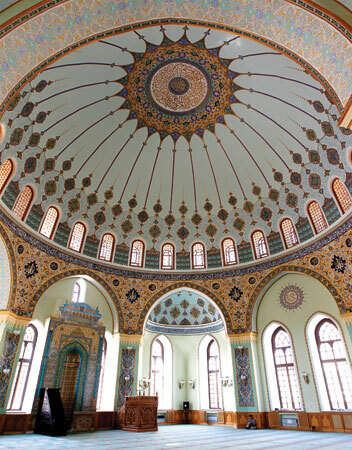 A total of 93.4 per cent of Azerbaijanis are Muslims, of whom 85 per cent are Shia and the remaining 15 per cent Sunni. This is the second-highest percentage of Shia after Iran, and the majority of Azerbaijanis have been experiencing secularism for decades, due to the official atheism of the Soviet Union. This does not mean that Azerbaijan is out of the reach of fundamentalism or religious violence, however. Is there anything you would like to highlight at this symposium? At a time when many wonder if Islam is compatible with the republican principles of secularism and when Muslims are all too often linked to terrorism, secular experience does exist in a Muslim country. I wish that the media would show us the Muslim world in another way. 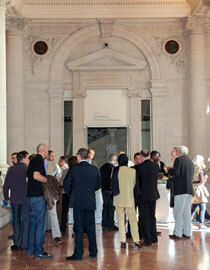 Is there cooperation between Azerbaijan and Bordeaux? I travelled to Azerbaijan recently with a delegation of religious leaders from Bordeaux on a study trip with the theme: Secularism and Religious Tolerance in the Muslim World. The delegation included Charafeddine Mouslim, secretary-general of the Muslim Federation of Gironde; Didier Guedj, representative of French Jewish Institutions; and Guy-Antoine Castex, co-founder of the Fils de France think-tank. 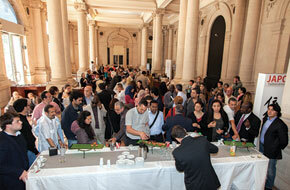 Azerbaijanis are very interested in economic and academic partnerships.